This week, after thoughtful consideration, I have withdrawn my support for House Bill 72, a bill that would make Black History Month permanent in Alaska. As the only African-American in the Alaska House of Representatives, I want you to understand why I felt compelled to do this. February is Black History Month in the U.S. Since 1976, every U.S. president has acknowledged the contributions of African-Americans to the fabric of our nation. Yet, despite the shiny facade of cultural awareness, the black community remains as impoverished, divided and oppressed as ever. Our problems are almost never addressed head-on, yet we continue pledging our loyalty to any politician who happens to say a few nice words about us. I’m tired of being told that “Black Lives Matter,” only to watch governments spend millions of Medicaid dollars each year to pay for the termination of black lives in the womb. That isn’t empowerment. 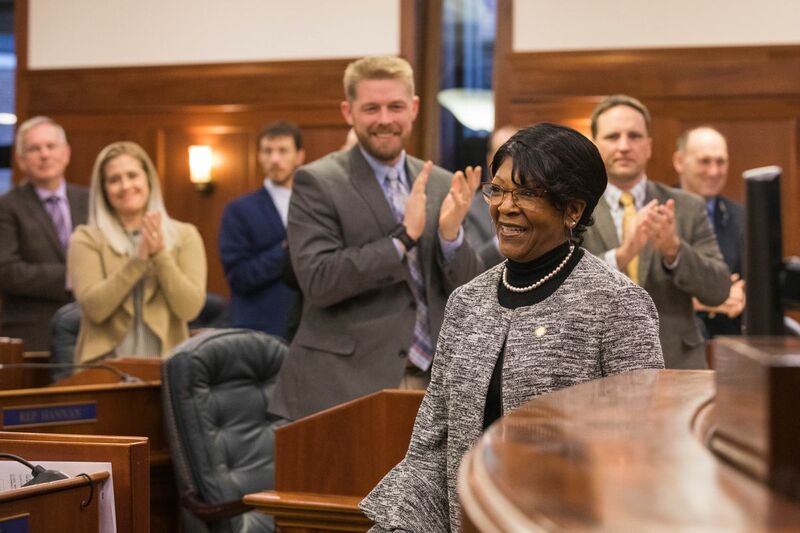 Sharon Jackson is a U.S. armed forces veteran and serves District 13 in the Alaska House of Representatives.